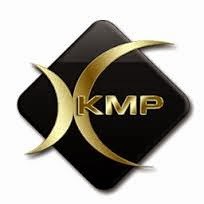 KMPlayer - one of the most versatile player that can play almost any media formats: VCD, DVD, AVI, MKV, Ogg Theora, OGM, 3GP, MPEG-1/2/4, WMV, RealMedia, QuickTime and many others. The program also understands the subtitles on DVD discs and can record audio, video or images of any part of the playing piece. The player can work with internal and external filters and plug-in that enables you to control audio and video files playable settings. KMPlayer includes almost all the major codecs for playback of audio and video. Has a huge number of settings. -Auto Profile setting "Hardware Accelerated" in LAV video decoder. In the case when the profile is defined but video playback is incorrect, recommended to set the settings LAV video decoder profile none. All profiles in Windows XP except Nvidia will be exposed to None. Just when you install, the player will be optimized with respect to system performance. -podcherkivanie circuit is switched on NVIDIA and move the slider to 10% of the same thing we do with interference suppression. A check mark in front of the reverse use telekinoproektsiyu should stand, if not then deliver. Additional settings, only for two or more core processors! Apply and close the panel. Since the built-in settings Matroska splitter was replaced by LAV Splitter, it is now possible to switch audio tracks only in the settings of the LAV Splitter. Click the right mouse button on the field player, in the drop-down menu contains the line filters, in yet another menu, look for the line LAV Splitter, and the settings LAV Splitter select the desired audio track and subtitles if needed. If someone is such an option of switching audio tracks do not like and want to switch them in the player, then put in the player settings Matroska splitter with a system to Gabest MKV splitter (MatroskaSplitter.ax). Language: Russian, English and others. Run the file The KMPlayer 3.9.1.132 repack (2.6) .exe and follow the instructions.